We are a living history and re-enactment group. Our members dress in the uniform and equipment of the period and have many artefacts of the time. They also undergo much of the same training that the soldiers of 1914-1918 would have done. Through living history, we are able to learn and understand far more about every day life of the "Tommy". We also have a greater understanding of how men were able to march 15 miles with 60lbs on their back as some of our members have experienced this exercise for themselves. Both Individually and collectively, we have obtained a large collection of uniforms, weapons, equipment and accoutrements. If original items can not be found or are too fragile to use, we manufacture them wherever possible. We are able to manufacture items such as pay books, uniforms, cigarette packets, gas hoods and much more. We take particular pride in our uniforms and equipment out of respect for those who we portray. We also have an excellent example of a Forward Aid Post with a large selection of first aid, surgical and medical instruments and accessories, all ably taken care of by our VAD's and FANY's. Throughout the winter months we hold training and shooting weekends at various locations around Ireland to hone our skills. During the summer we participate in various activities from multi-period events to military displays and film work. The Society also make annual pilgrimages to the "Western Front". 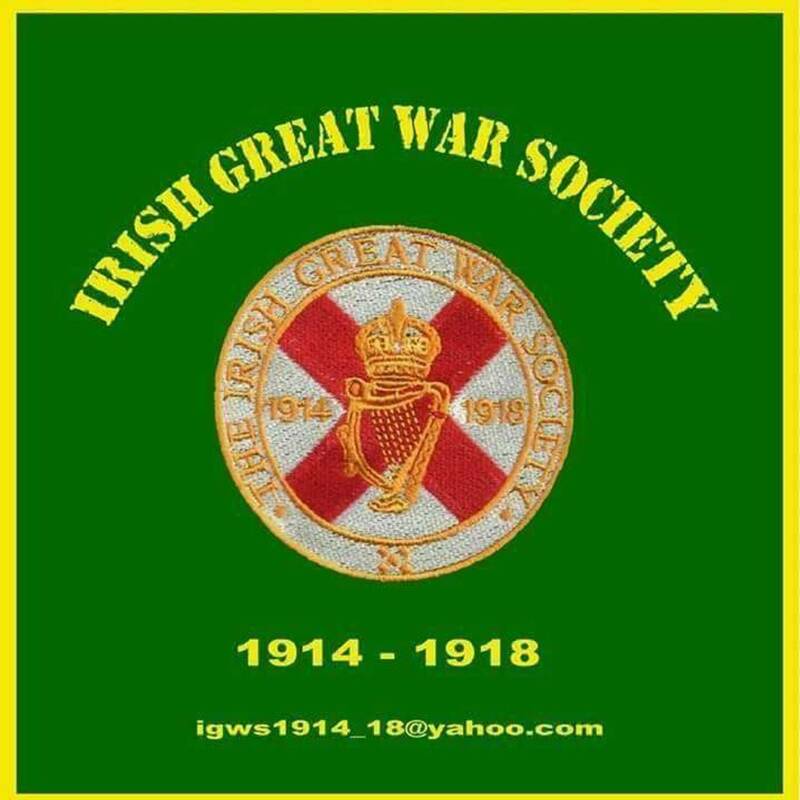 the Munster Fusiliers, the Connaught Rangers, the Royal Dublin Fusiliers, Irish Guards and the Royal Army Medical Corps.